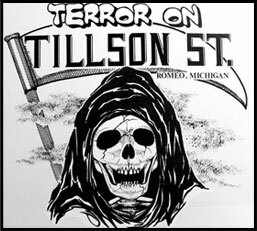 Tillson Street is one of the most well known streets in Macomb County. 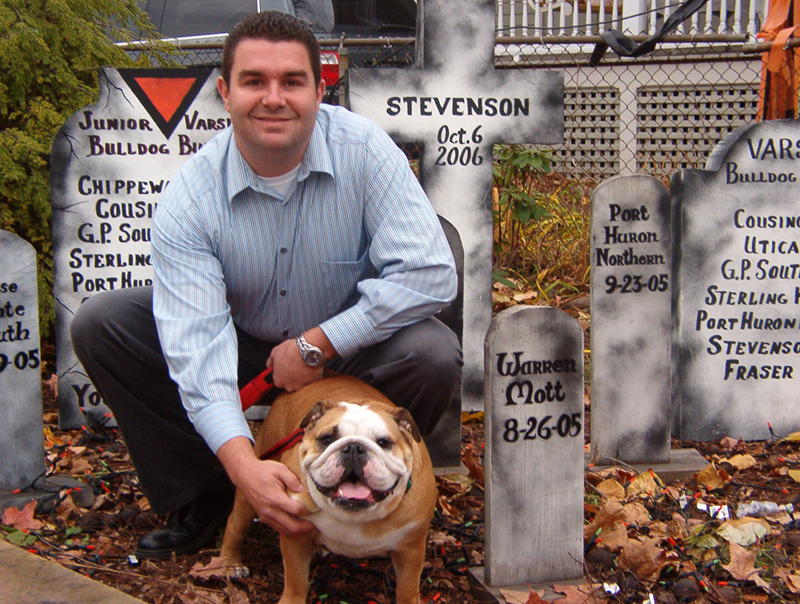 When it comes to Halloween, they go all out. Check out our local weather too! 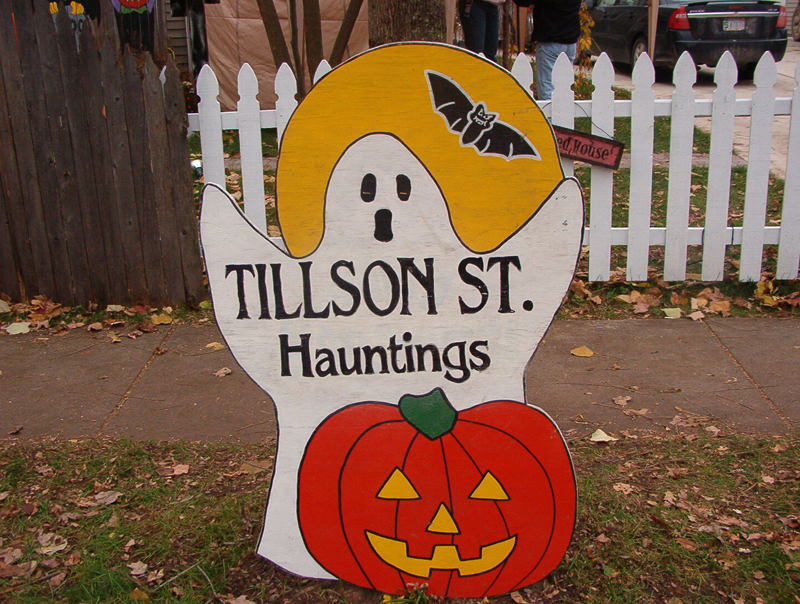 Some of the many that help keep Tillson St. safe on Halloween. Shirt sale proceeds went to the Buzz Lee Memorial Scholarship Fund. 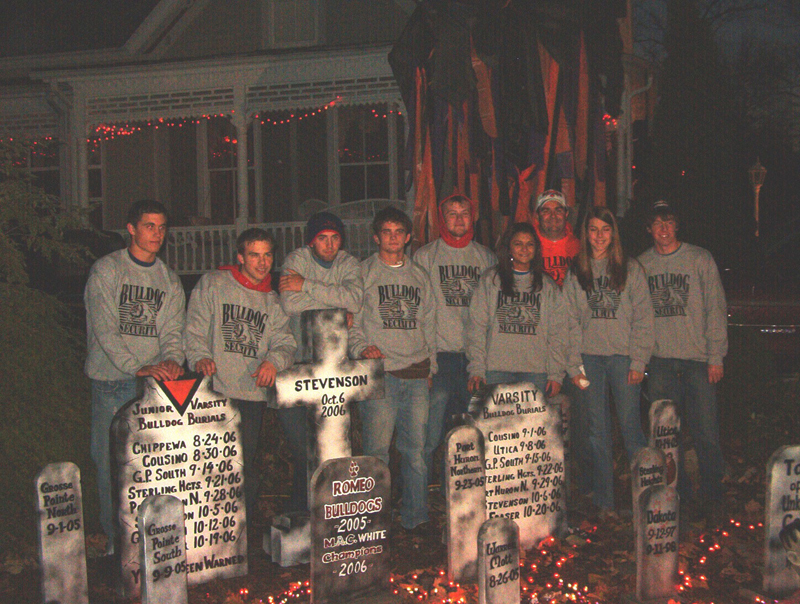 2008 T-Shirts will be available 2 weeks before Halloween. Contact Chopper Mike at (586) 531-8895 for info. 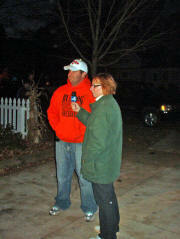 Jeanne Lerchen from WBRW Channel 6 interviewing Chopper Mike before trick or treating starts.